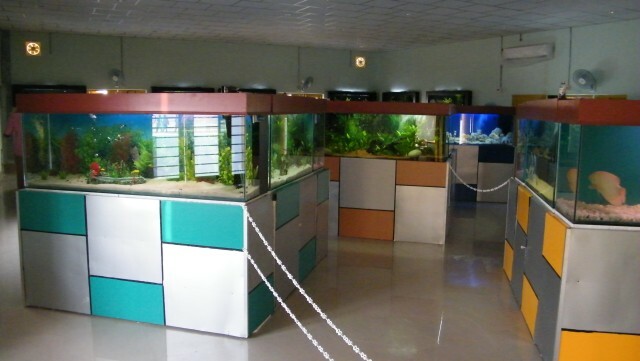 Matsyafed Public Aquarium, Thenmala, Kollam. Matsyafed Public Aquarium, Vaikom, Kottayam. Kottayam and Vaikom aquariums function in collaboration with Kottayam and Vaikom municipalities respectively. 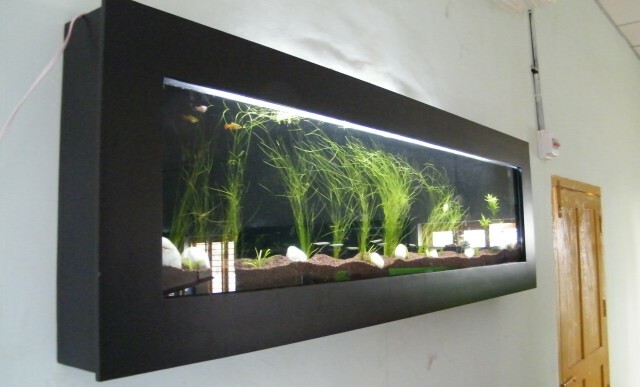 Sale of aquarium tanks, ornamental fishes and aquarium accessories through the outlets attached to the aquariums. Training on ornamental fishery and aquarium maintenance for prospective entrepreneurs. Seed production of ornamental fishes through SHGs in Kottayam. Location: Adjacent to the Municipal Jubilee Park, Kurien Uthup Road, Nagampadam. Working Hours: 11 AM to 7 PM ( Monday Holiday). Tickets: Rs.20/- for adults and Rs.10/- for children. This public aquarium houses about 50 aquariums of various sizes in which variety of both freshwater as well as marine fishes are kept. This project is funded by Rashtriya Krishi Vikas Yojana and is executed by Matsyafed in association with Kottayam Municipality. There is a sale counter for aquariums, aquarium equipments, accessories and aquarium fishes attached to this. 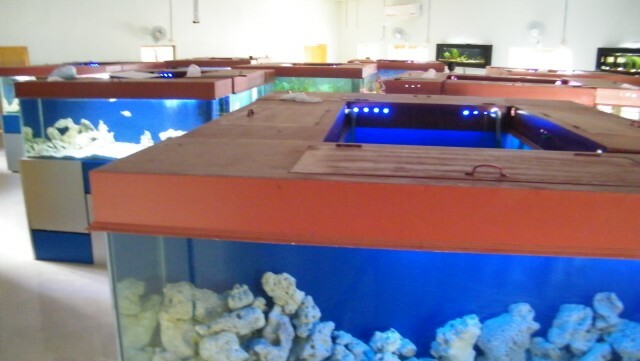 Training on "Ornamental Fish Culture" and " Aquarium Management" are being conducted in this centre. 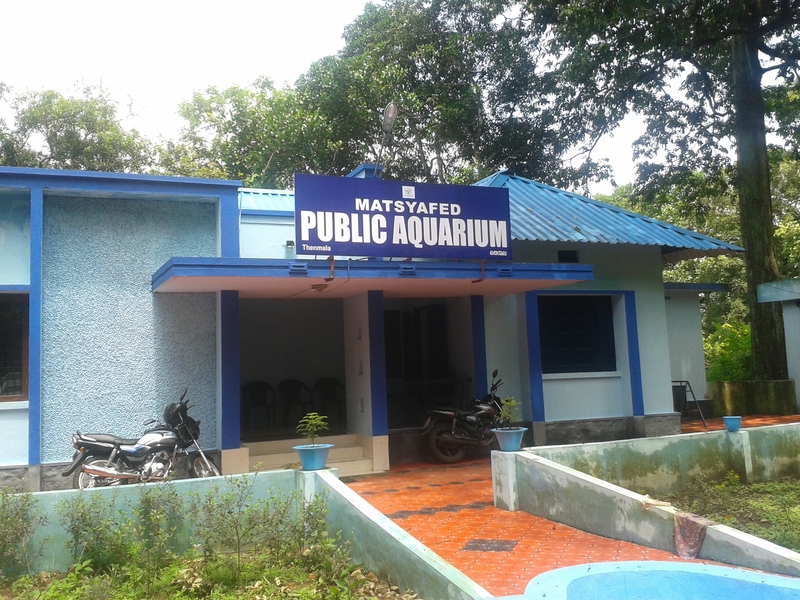 Matsyafed Aquarium is functioning at Thenmala in the Kallada Irrigation Project compound near the Adventure Zone of Ecotourism. Thenmala , the Honey Hills is situated in the beautiful valley of Western Ghats and it is a planned ecotourism destination in the Shenduruney Wildlife Sanctury area. The Fresh Water Aquarium is an added attraction in this ideal location of tourists. Most of the exotic as well as indigenous varieties of ornamental fishes are exhibited here. Gold fish, discus, oscar, angel, gourami, tetras, barbs, guppies, mollies, sword tail, platty, cat fish, carps, cichlids, morphs, parrot fish, danios, red line torpedos and many more. Training on ornamental fishery and research on ornamental fishes with special emphasis on indigenous varieties are also being conducted in this centre. Location: 72 km from Thiruvananthapuram and 66 km from Kollam. Entry Fee: Rs.10 for adults and Rs.5 for children and students. Working hours: 10 am to 6 pm. Technical collaboration in aquaculture with Central Institute of Brackishwater Aquaculture (CIBA), ICAR, Govt of India , Chennai. The areas of collaboration include technical support for the production of disease free high health shrimp seeds, quality control in aquaculture, scientific culture practice , seed production of L.vannamei, establishment of Fish Feed Mill etc. Project implemented with a total amount of Rs. 796.59 Lakhs received under Rashtriya Krishi Vikas Yojana. Schemes include renovation of Njarakkal, Malippuram Palaikkari fish farms, renovation of Thirumullavaram, Kaipamangalam, Veliamcodu Moplabay Prawn Hatcheries, cage culture in Kasargodu district and Ornamental Fishery Development Projects at Thenmala, Kottayam Vaikom.